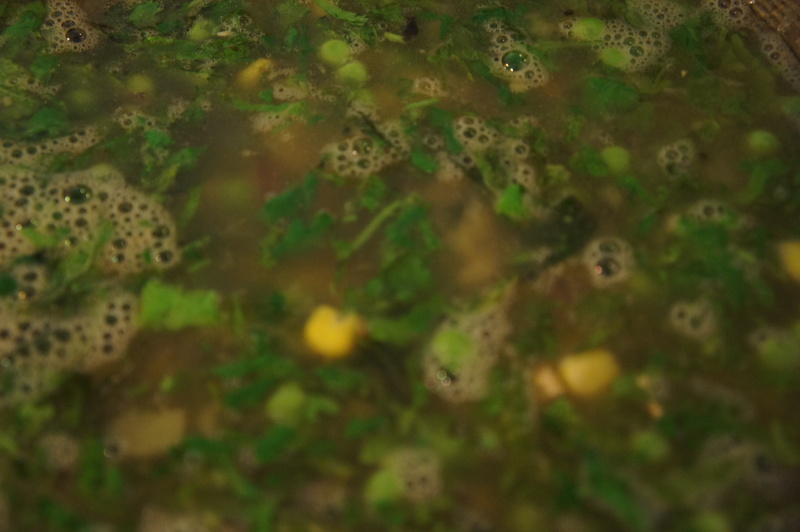 Coriander | Life's Conundrum - Eat to Live or Live to Eat? We have both been very quiet for the last few weeks as we have gotten quite engrossed in our daily routines. Hopefully we will get back into the habit of sharing recipes on a more frequent basis. Apologies for the multiple posts today as we clear some of our back log. 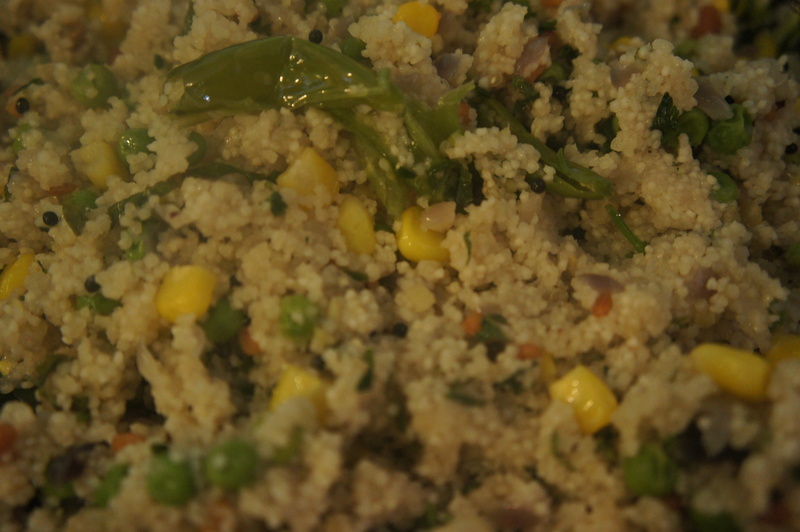 The first recipe we would like to share with you is a simple accompaniment for dosai or idli. 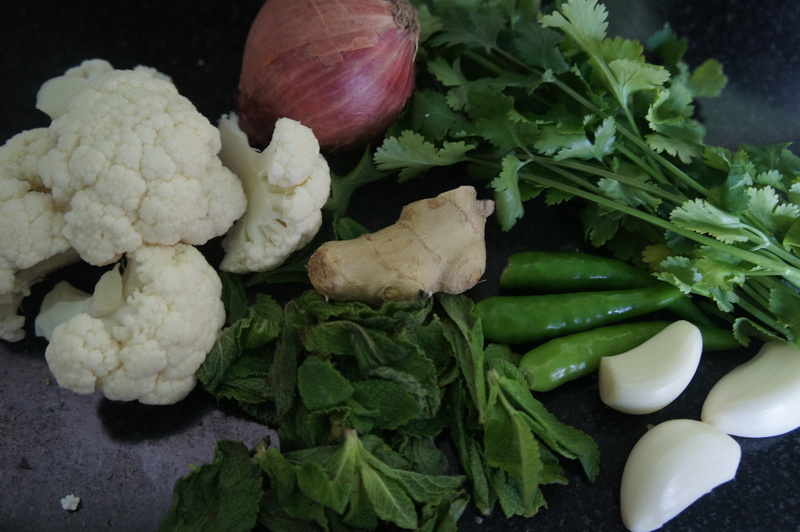 If you’ve got fussy eaters as we do here’s a simple recipe for a coconut chicken curry which so far has worked wonders in getting both our little ones to eat without complaining. We both love our spices and want our kids to start experimenting and appreciating food that’s cooked with flavourful ingredients and developing a varied palate (we are tired of the pasta, fish fingers and chicken burger routine!). 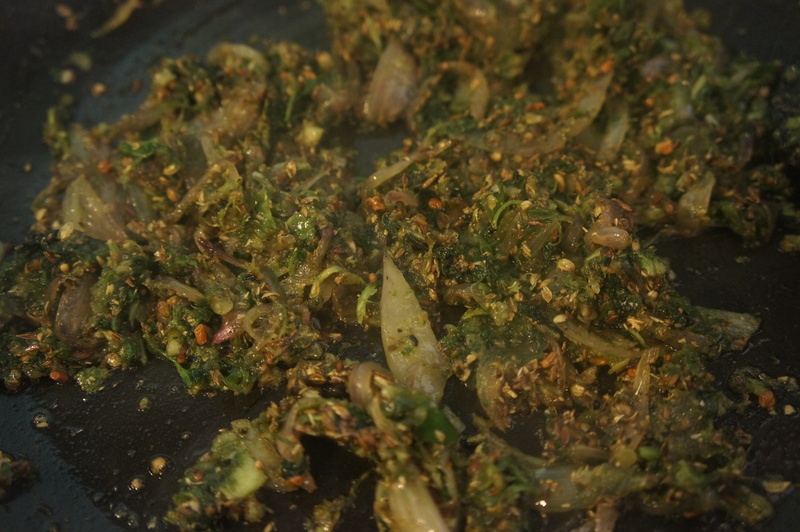 First make a paste of the onions, garlic, ginger, mint and coriander. 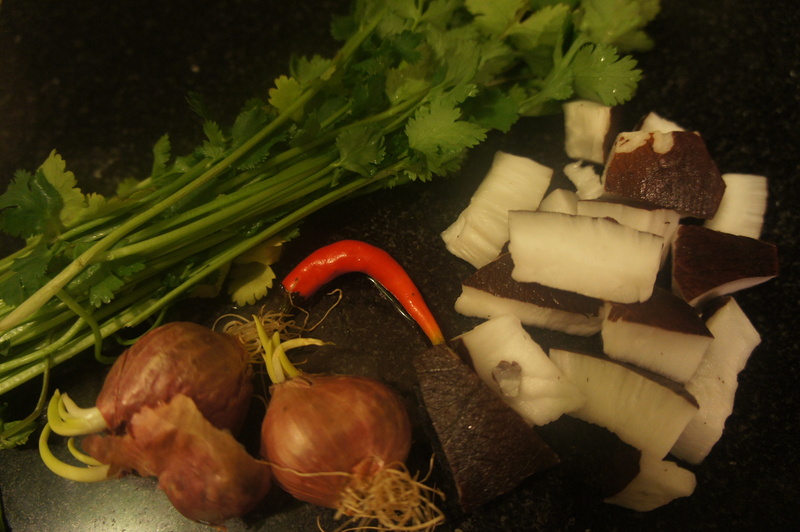 Heat a small wok/kadai and add the coconut oil. 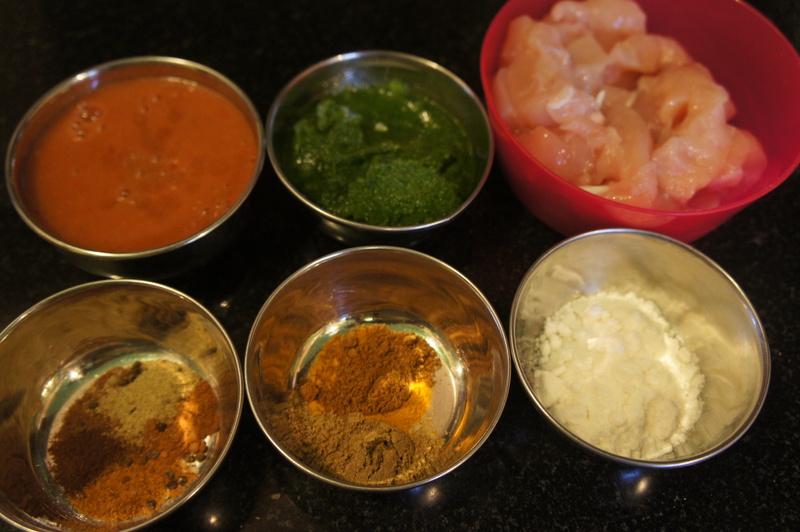 Add the cinnamon, clove, cardamom, fennel, nutmeg and mace powders – stir for 30 seconds before adding the paste. Cook over medium heat for 10 minutes till the masala loses it’s raw smell. 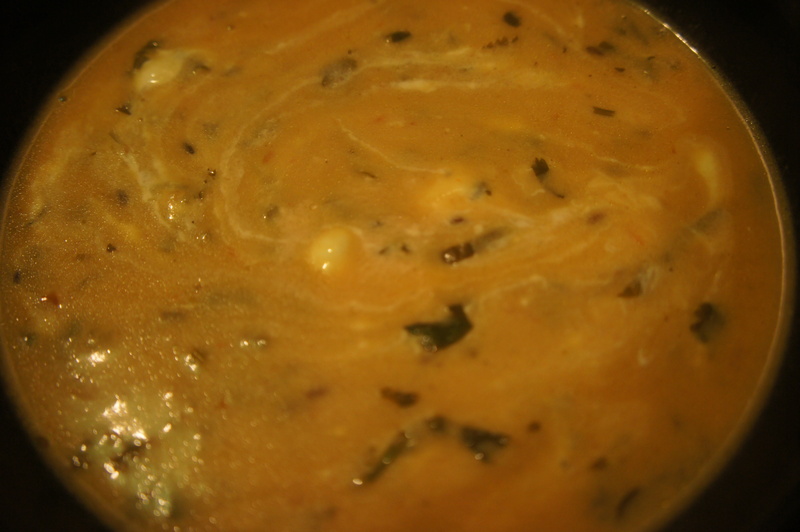 Sprinkle the turmeric, cumin and coriander powder and stir for 30 seconds before adding the pureed tomato. 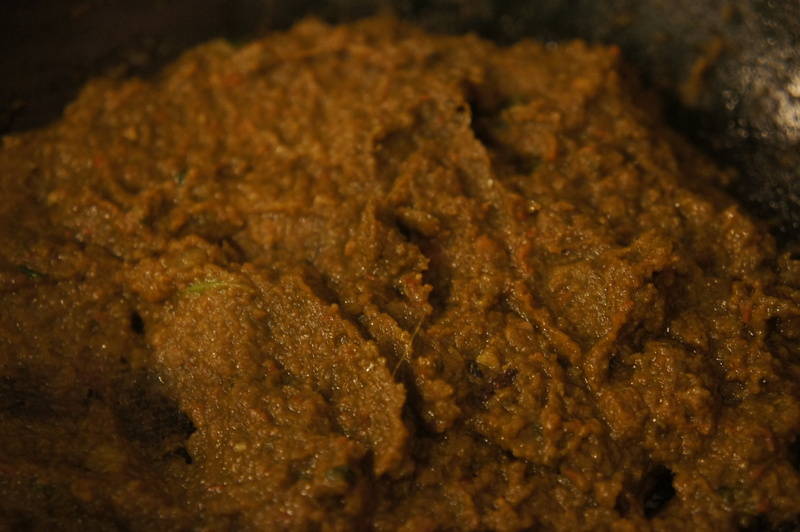 Continue cooking till the fat oozes out of the masala or it starts to dry out and turn brown. 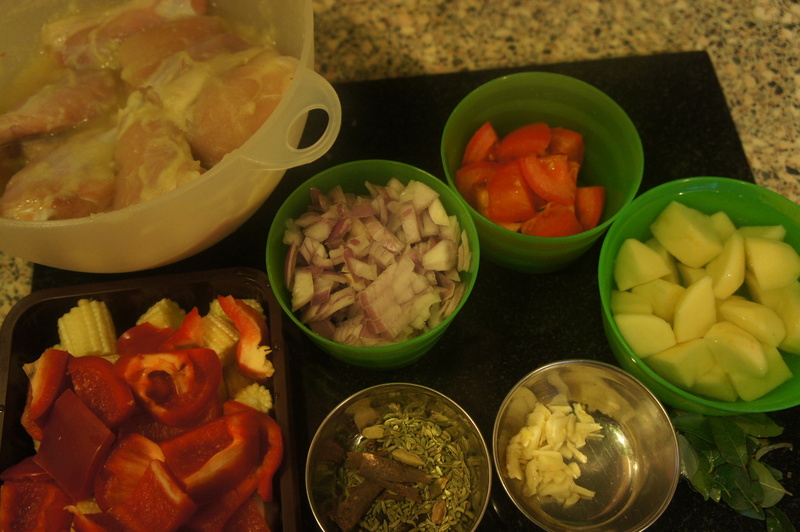 Add the chicken and half a cup of water – cover and cook over low heat for 15 minutes or till the chicken is done. 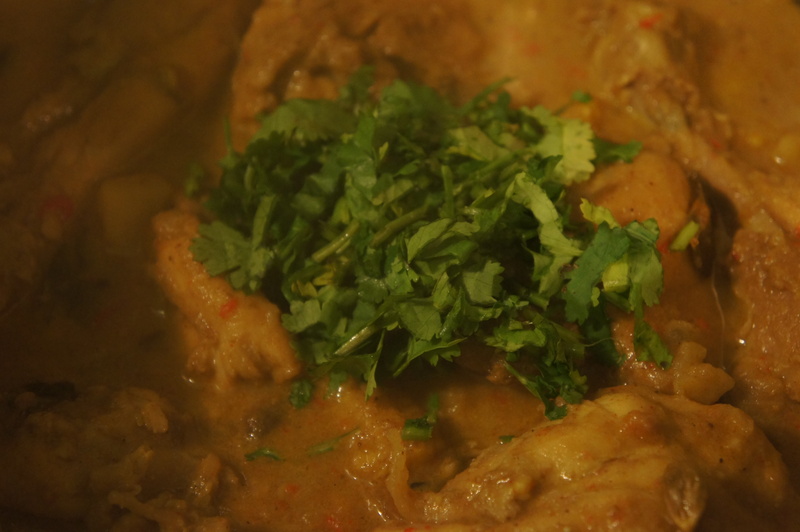 Stir in the coconut milk powder, adjust the seasoning and switch off the heat. 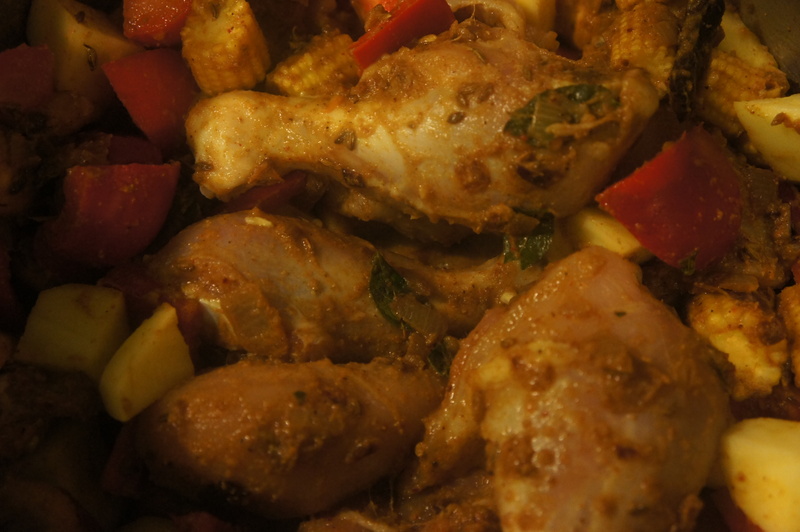 Serve with boiled rice or Indian bread of choice. 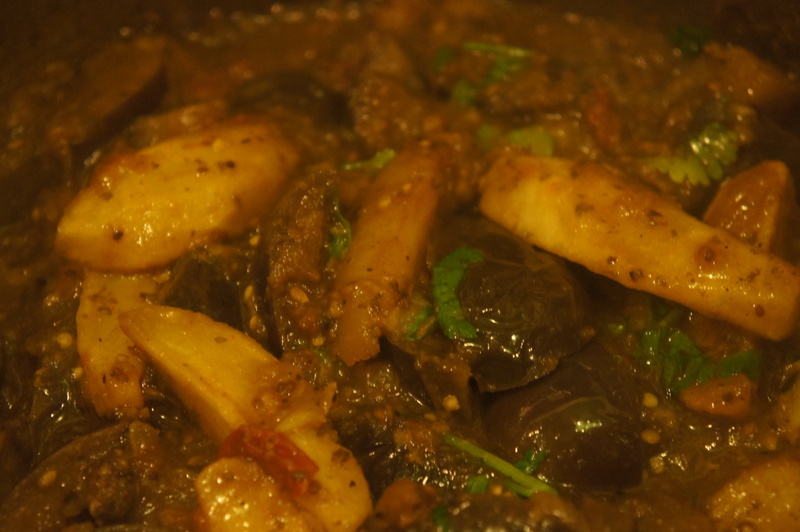 We’ve extolled the virtues of the aubergine and potato combination in an earlier blog and that dish inspired us to create another but with a thick sauce this time. 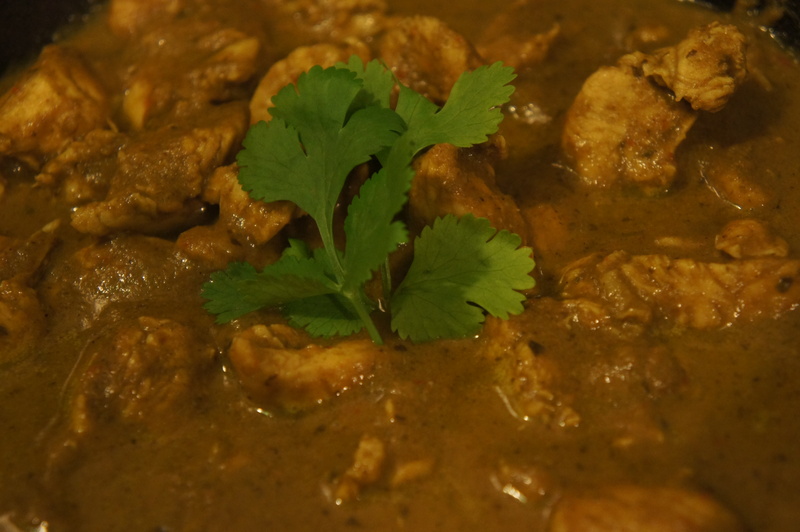 This dish works really well with a simple rice pilau and probably just as well with an Indian bread of choice. 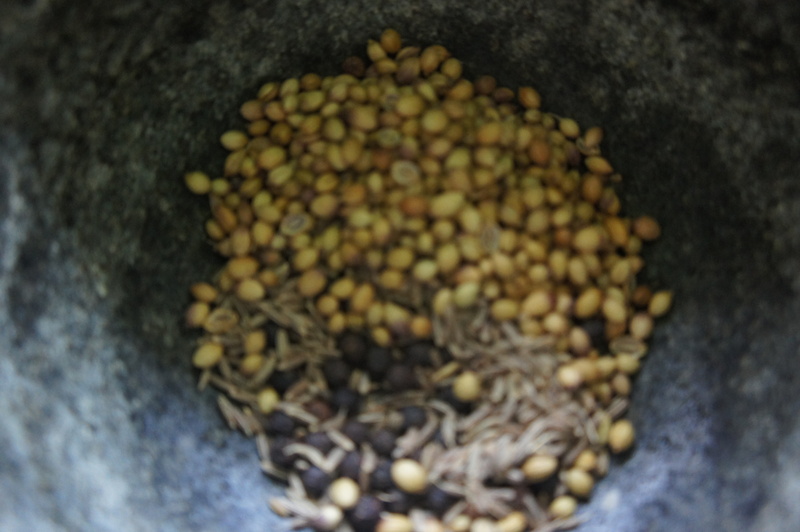 Coarsely grind the peppercorns and cumin seeds first and then mix with the caraway seeds. 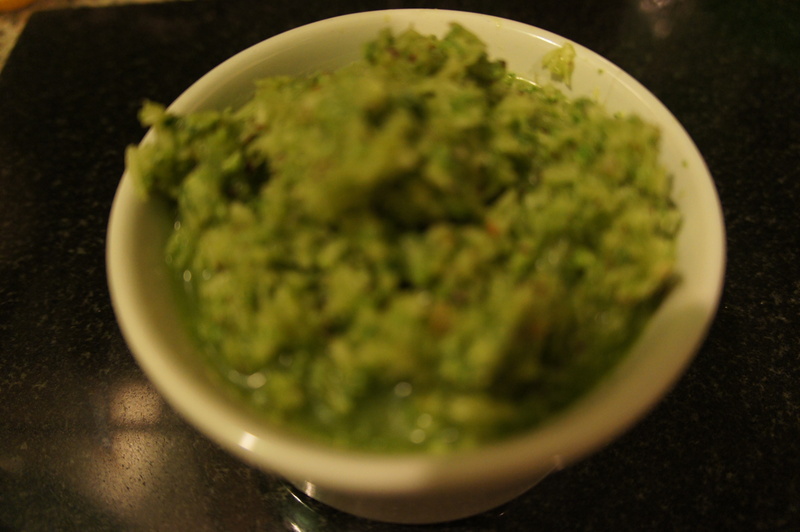 Use a pestle and mortar to make a coarse paste of the garlic, ginger, green chilies, coriander and mint. 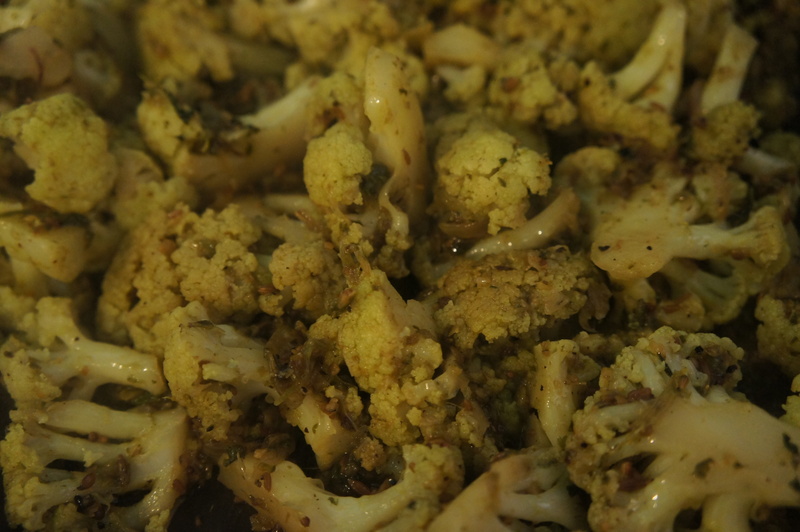 Heat a heavy bottom pan and add the ghee. First add the coarse powder with caraway seeds and stir for 30 seconds before adding the paste. Stir the paste for a few minutes before adding the chopped onions. 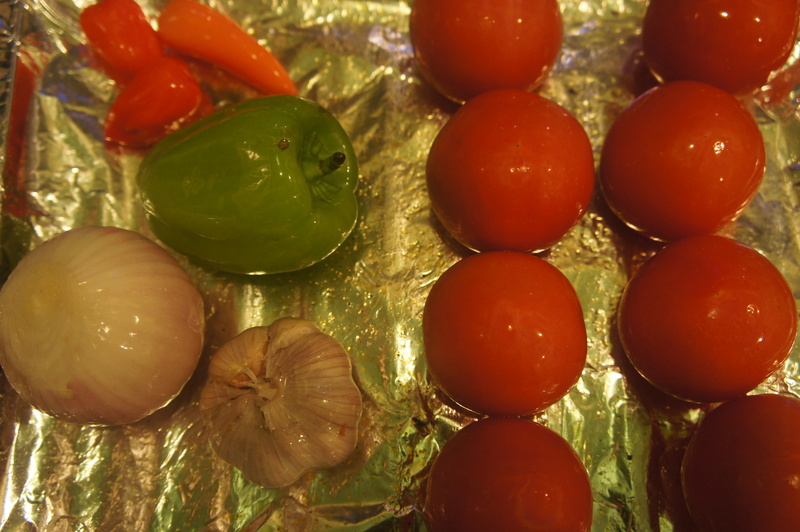 Cook over medium heat till the onions start to brown and then add chopped tomatoes. 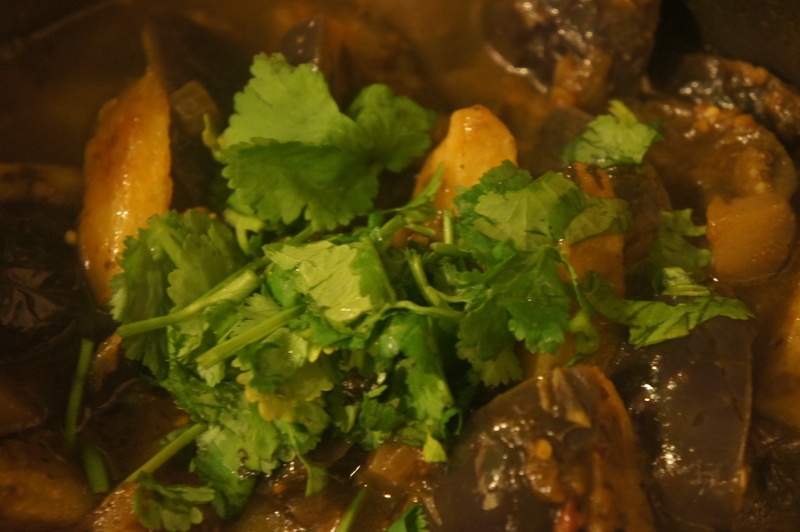 Continue cooking till the fat leaves the masala before adding the aubergines and a cup of water. Cover and cook on low heat till the aubergines are cooked through. 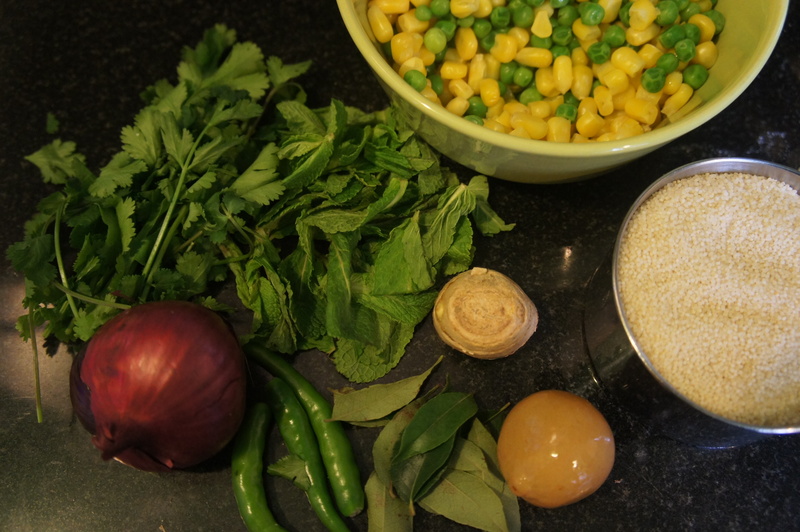 Add the fried potatoes, adjust the seasoning and garnish with fresh chopped coriander. Enjoy.